The Full House pub quiz is hosted by Daniel an award winning local entertainer. 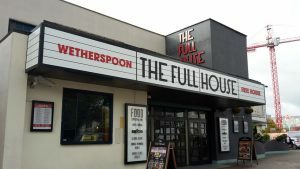 This pub is named The Full House because, from 1994 until the pub’s opening, it was a bingo hall. However, the building’s roots lie in cinema, having been opened as an Odeon in 1959 by Lauren Bacall.